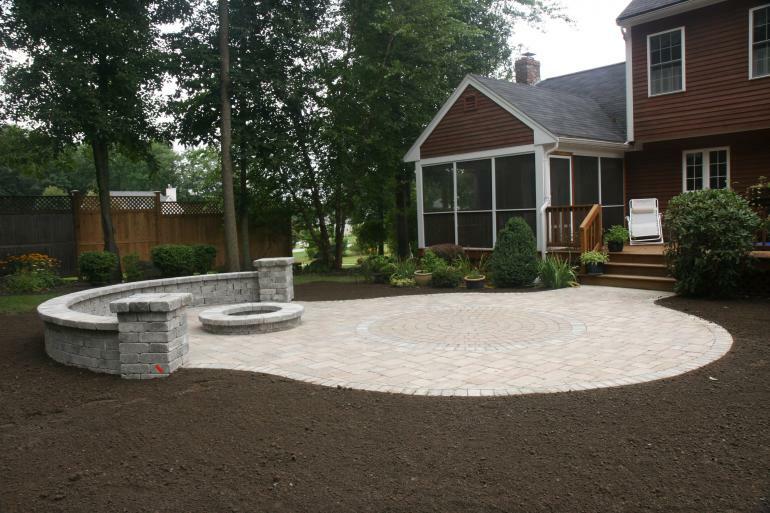 Mueskes Landscape and Snow Management can build you a dreamy backyard with a beautiful patio, firepit, paver walkway, decorative wall, outdoor kitchen, and more! 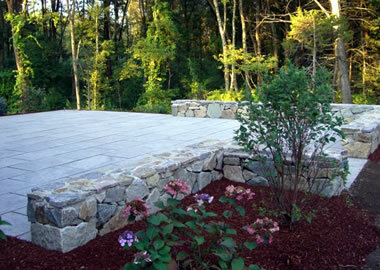 Enhance your outdoor living space with a customized patio and firepit, walkway, or decorative landscape wall. Not only will you enjoy your outside space, but you will increase the value and curb appeal of your home. Repair all disturbed areas with loam and seed, mulch, asphalt, etc. 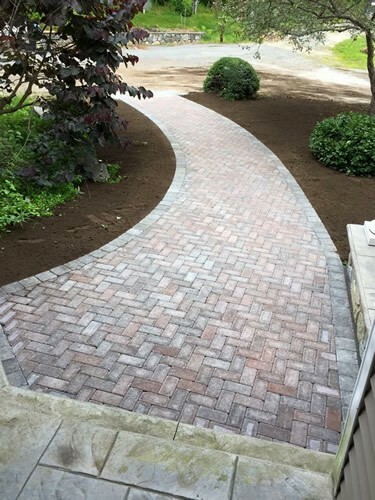 We have many years of experience with various types of hardscape projects, from small walkways to full parking lots and commercial entrance ways. 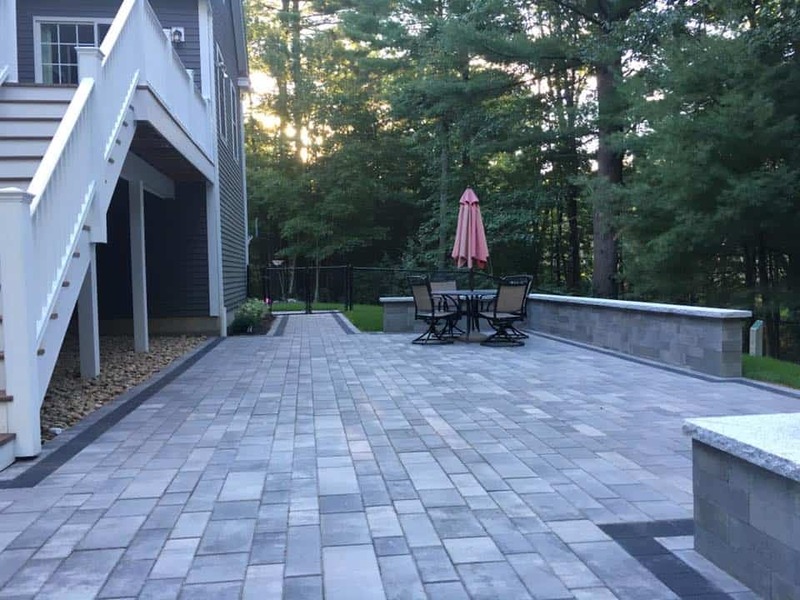 By following a consistent process, we can ensure our hardscape installation withstand the elements and last a lifetime. Preparation is fundamental to a long-lasting hardscape installation. 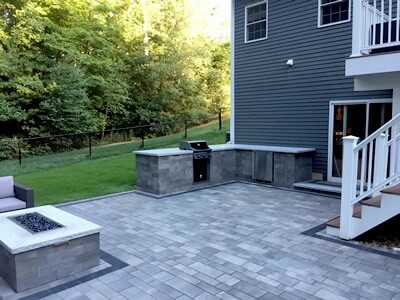 Our experienced hardscape crews have the knowledge and tools to provide a successful project from start to finish. 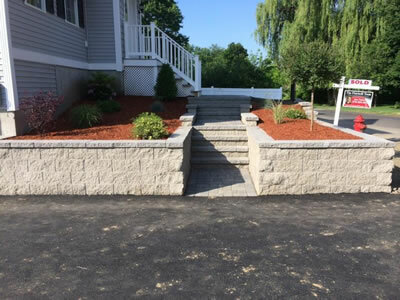 In addition to a well-maintained lawn and landscape, a customized hardscape will attract new customer, visitors and tenants for commercial properties and provide a substantial return on investment for residential homeowners. 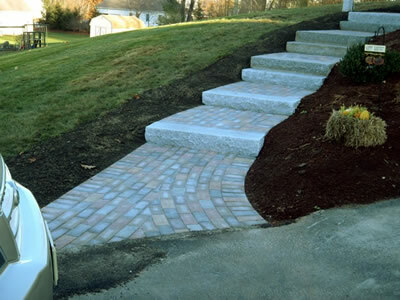 We have endless ideas for you hardscape to include, paver and brick walkways, cobblestone-lined mulch beds, granite steps, custom patio with a seating wall and fire pit, natural stone and interlocking retaining walls, permeable paver systems for driveways and patios, granite mailbox and lamp posts and much more. We can install landscape lighting in and around your hardscape to enhance the look and feel of your outdoor living space.